The current (March 2013) issue of Better Homes & Gardens has wallpaper featured prominently on two pages. Pg. 66 has a story on organizing closets, and the wall outside the closet is prettily papered in a calming cream colored branch-and-leaf pattern on pale blue background. Many of the colors inside and outside the closet are tan tones – this is a popular color theme these days, and very serene. Most likely it is a couple of strips next to one another, because I don’t know of any wallpaper that is wider than a bed! And it looks as if they ran the strips all the way up to the ceiling, although I think it would look fine if you went only part way up. It does look a little unfinished, though, so I would suggest using some wooden trim to build a frame around it. It’s a heat gun. It will be used to dry joint compound, which is used to fix bad spots in walls. Previously I’ve used a hair dryer. But a heat gun is MUCH hotter (see the glowing red spot on the wall?! ), so it pulls moisture out of the wet compound much faster. You have to be careful with it, though, as it can cause blistering / bubbling, so you have to keep it moving and not keep it on one spot for very long at all. I was lucky enough to find this treasure at a church rummage sale (Bering Methodist’s famous twice a year Second Blessings sale) for a mere $6. I hung an interesting paper in a powder room today. It’s made by a company called Vahallan. This company makes unique papers of various types, but basically the idea is that the paper comes in shapes or chunks, instead of strips, and are overlapped on the wall. The paper itself is wrinkly with a base color and then one or two additional colors washed on top. See the blue piece in the first photo. When the paper dries, it pulls tight to the wall, and the outline of the pieces below it can be seen. 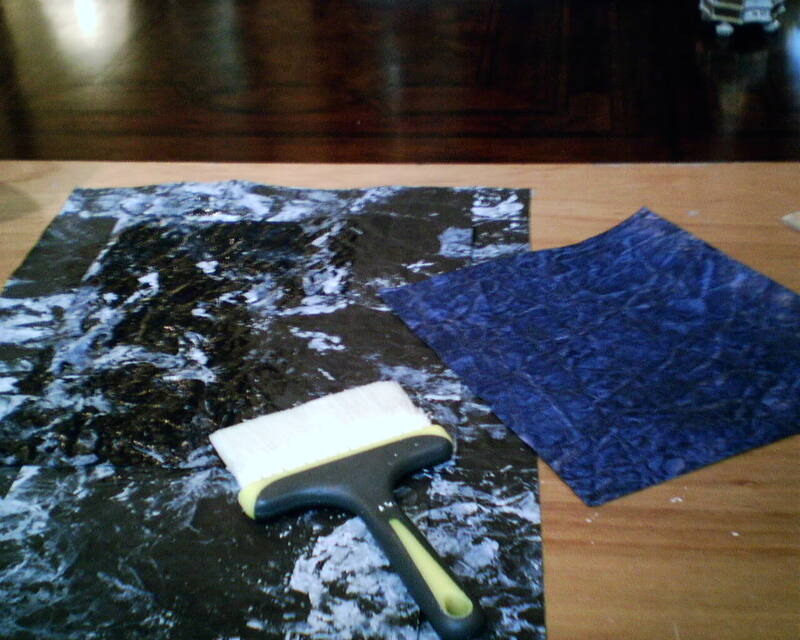 The effect is something like alligator skin, or, in today’s case, a marbled wall. I’ve done lots of this type of paper, but in the style with the random shapes, which get put up pretty much any old place on the wall you feel like. this gives an earthy look to the room. Today I worked with different sized squares and rectangles, and I kept all the edges level and plumb, but made sure to NOT have all the edges line up with one another. It’s important to not overlap in the same direction with every piece. With the slight sheen on the paper, the room had the appearance of being clad in polished stone. In the first photo, you see me pasting the back side of the paper, with a sample of the front of the paper on the right. In the second shot, I am working my way down the wall, positioning the blocks of paper. The third photo gives a bit of an idea of how a small square is pieced in, to fill an empty space. And by the time I finished the room, it was dark outside, so the final shot is too dark to see the beauty of the room. But it was gorgeous, and the homeowners loved it. Even the man, who had insisted he didn’t like wallpaper. Well, this Vahallan product is so unique, it’s nothing like traditional wallpaper. The paper really enhanced the look of the room. Here’s the link to the manufacturer. See how the flowers line up nicely along the chair rail? That’s what your eye wants to see. But it’s not always possible, especially in old houses, or, well, any house really, because shifting, settling, and inattentive construction techniques can cause walls, ceilings, and trim like door moldings, chair rails, etc. 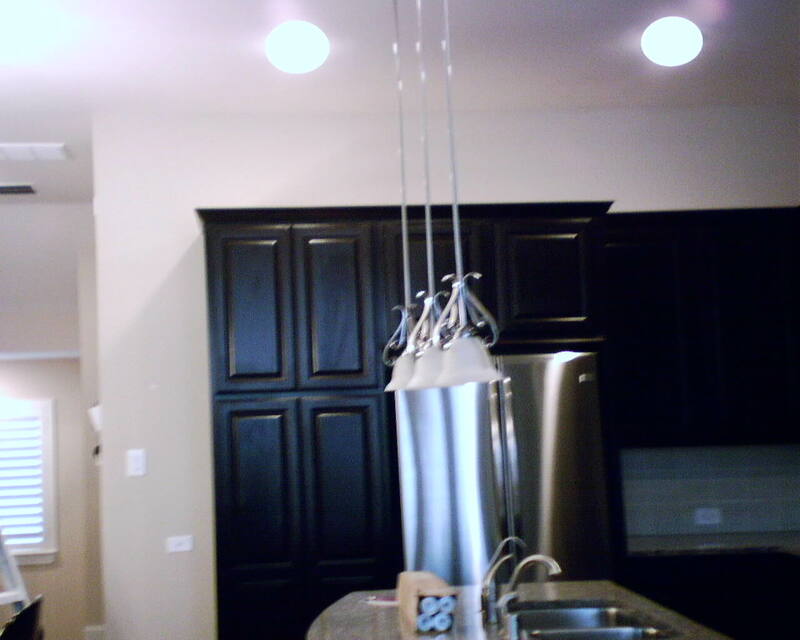 to be off-plumb or not level. In this room, the walls were plumb, so I had to hang the paper to line up with the walls, or else the pattern would be crooked at the corners and door frames and windows. 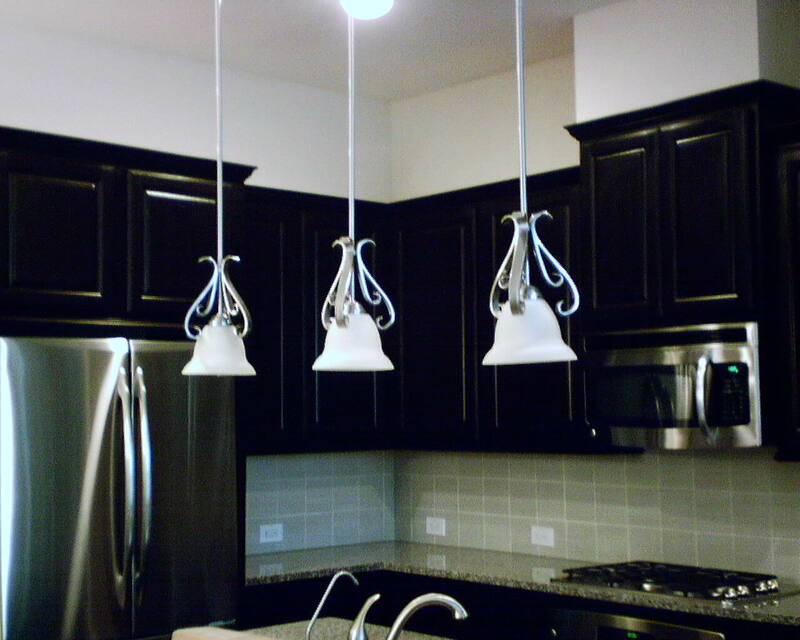 But this meant that the pattern would not be even along the ceiling and chair rail. Meaning, there would be a half flower at the right of the wall, and as each sesecutive strip was hung, there would be less and less of the flower, as it disappeared like the sun slipping behind the horizon. So I did a little trick to fool the eye. In Photo #1, you see that there’s about a half-circle of the dark flowers inside the turquoise half-moon. 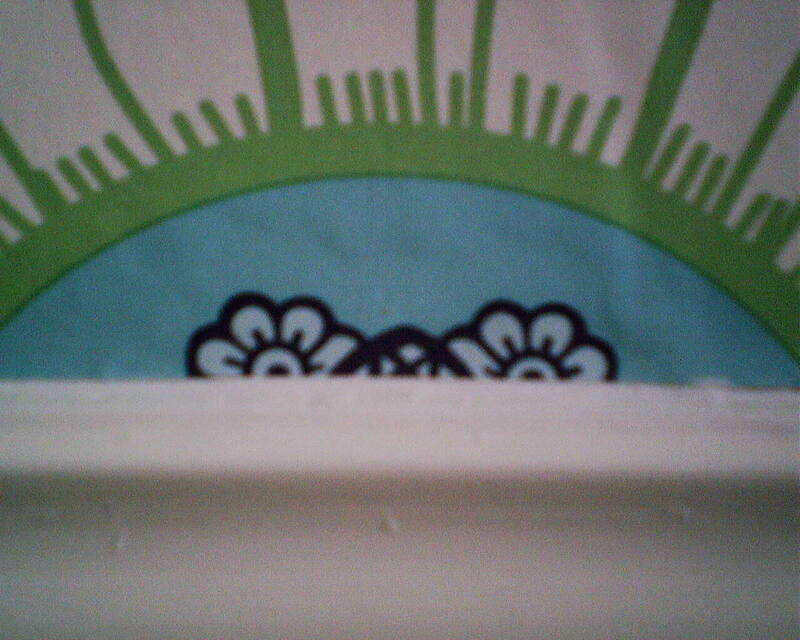 But in Photo #3, the pattern has moved down the wall to where only a little of the dark flowers still show. 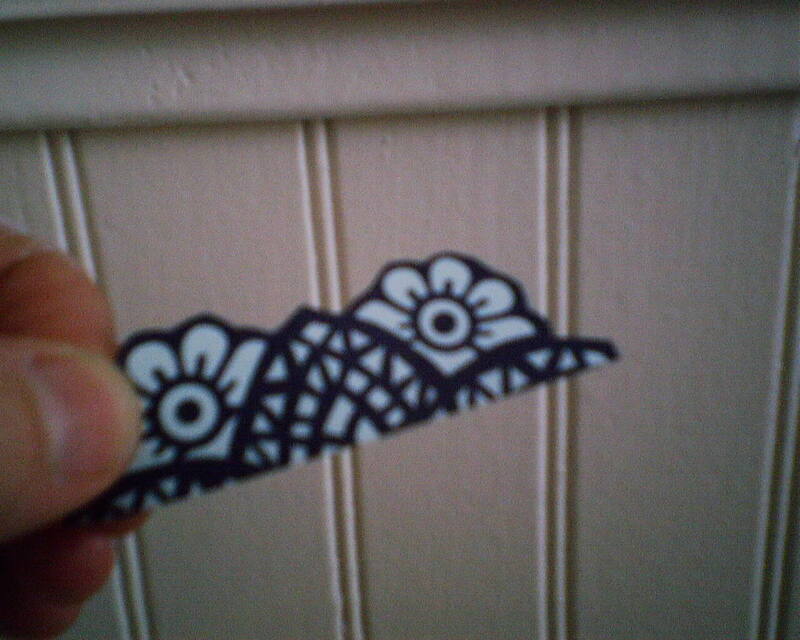 What I did was cut some dark flowers out of scrap paper, to approximately the height they were in the first strips. See Photo #4. Then it was simply a matter of pasting this applique over the too-short flowers. In Photo #5, you see that it turned out pretty great. Not perfect, but definitly good enough to fool the eye. My next post will discuss another technique I used in this very un-square and off-plumb room. 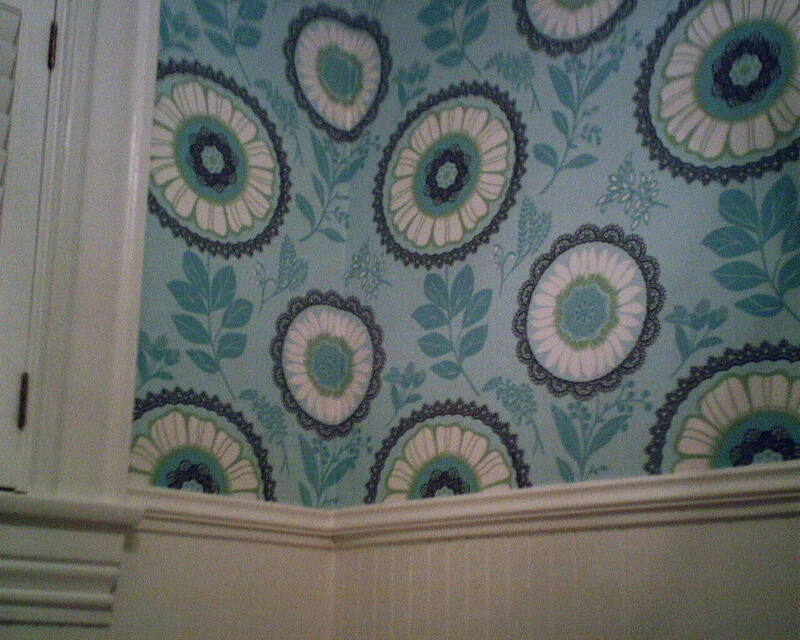 This pattern is by Amy Buttler for Graham and Brown Wallcoverings. This kitchen, with it’s handsome dark cabinetry and smart stainless steel appliances, is open to the living room. The living room walls and furniture are mostly tan, with natural stone in tans and greys surrounding the fireplace. The homeowners, a young newly-married couple, wanted something that would not go out of date, and had originally selected a cabbage rose sort of floral pattern. They had the wallpaper selection books at their home when I came to measure and bid the job. Now, my deal is, if people have already bought their paper, I find something neutral to say, like, “Oh, it goes nicely with your tile.” But if they have not yet ordered their paper, if they ask me, I will give my honest opinion. These folks hadn’t ordered that cabbage rose pattern yet – thank goodness. So I (tactfully) tried to steer them to something else. Yes, cabbage roses will always be in style. But they are better suited to a bedroom – your grandmothers’ bedroom. I suggested a soft colored geometric, but the couple thought that would be too trendy, and soon go out of style. Probably true. I threw a few more suggestions out there, and showed a few samples that I carry with me, then left them to decide for themselves. When I arrived today to do the installation, I was pleased to see that they had given up on the idea of a floral, and instead chosen this classic fleur-de-lis pattern. 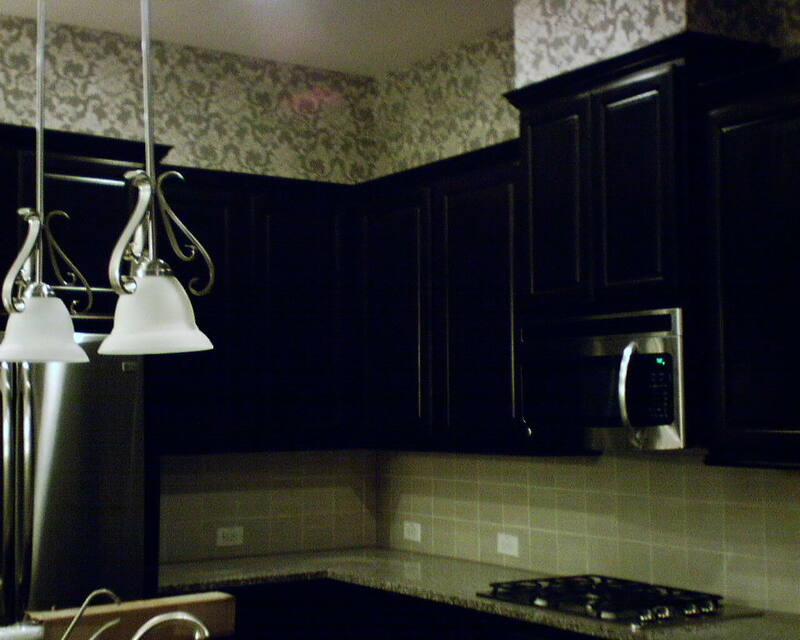 It’s a traditional design that will never go out of style, yet it’s modern enough to fit in this young couple’s new townhome, the pattern and scale fill the space well, and the brown and tan tones are spot-on to complement both the dark cabinets and the paint and stone in the adjoining living room. Honestly, they couldn’t have picked a better choice. They also had me paper the 3′ high area below the bowed breakfast bar. This helped distinguish the eating area from the living area, carried the pattern through to different parts of the room, and added texture and color to this often-overlooked area. The paper is one of the new “non-woven” materials, so it should hold up well to kicks and scrapes that could occur as people sit at at the bar. The finished room looked fantastic, and the homeowners were very pleased. I stripped off a solid vinyl paper in a bathroom today, and after soaking the backing, which came off easily, were spots like this. I was happy that the previous installer had used a primer, because so many do not. 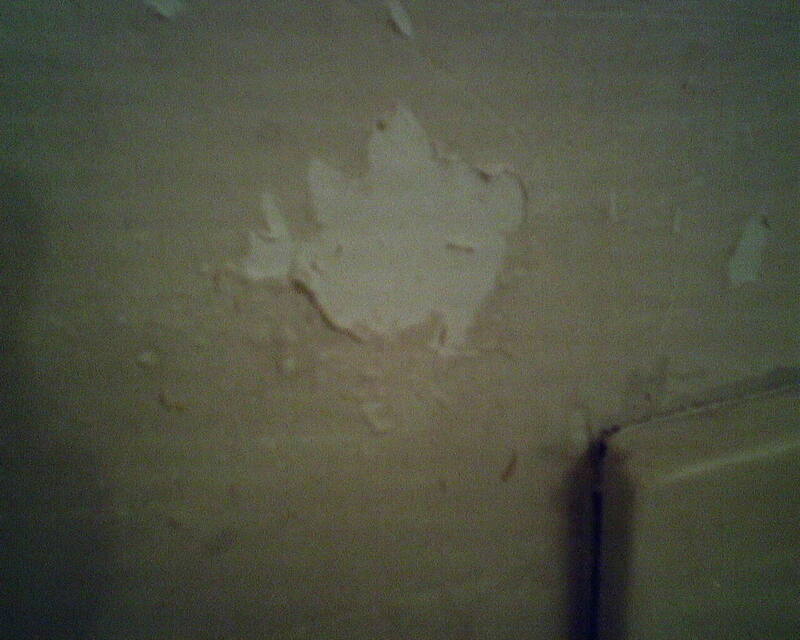 But one of my complaints about latex primers is that they reactivate when they get wet, as they will when you are stripping old wallpaper. This primer became loose in some spots and pulled away from the wall. You can see how rubbery it is, in the first photo, where I am pulling on it. It made a big mess, and required floating (kind of like patching with plaster), sanding, and then priming with my favorite oil-based primer, KILZ. Many of my paperhanger buddies disagree with using oil-based primers, but I have never had KILZ pull away from the wall, or lift, or stretch like rubber. 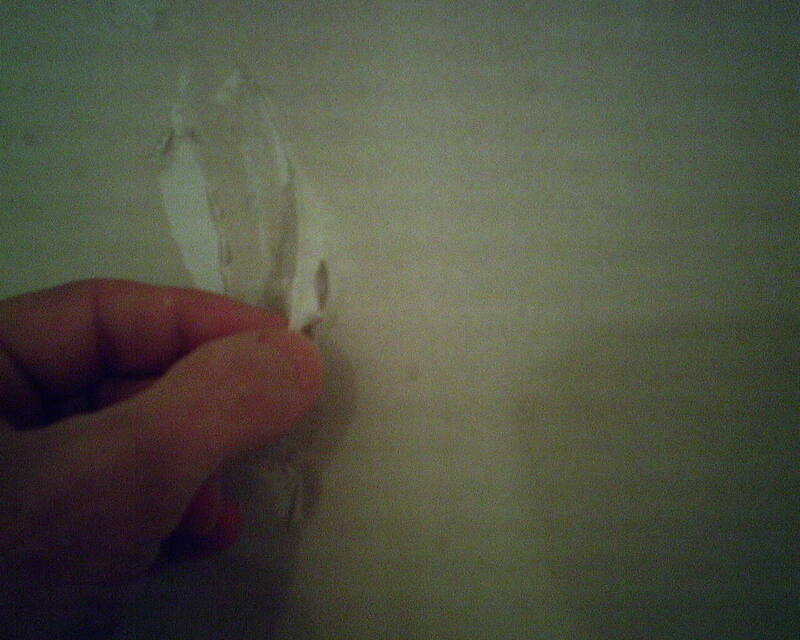 This is important, not just when stripping off old wallpaper, but when installing new paper. If you need to move or reposition a strip, or do a double cut, or pull something off and redo it, you want to feel confident that your primer will stay in place. Ahhh, there’s nothing more traditional than a classic toile pattern. 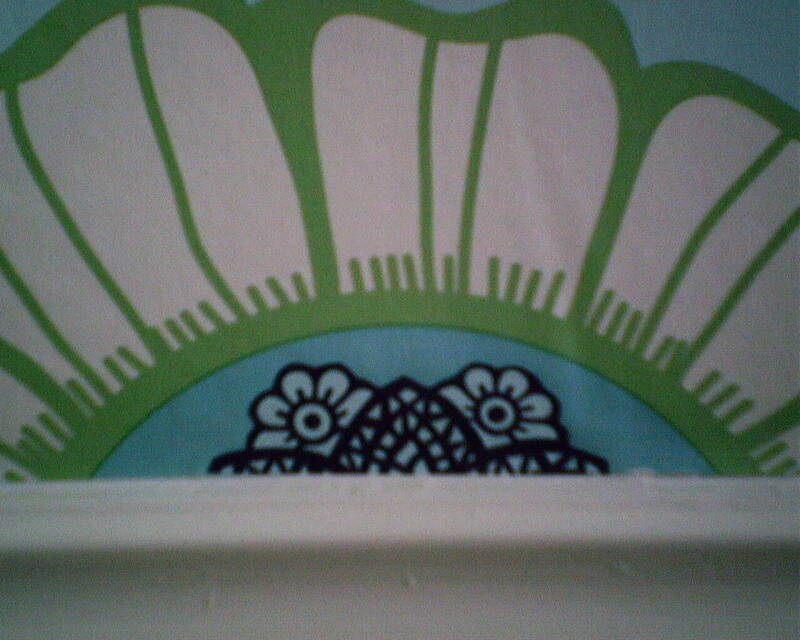 I have hung this pattern a zillion times. This was the first time by this manufacturer, and the first time in a non-woven paper (one of the new “green” backing materials being used more and more these days). It’s interesting how different companies can use the exact same pattern and design. The last photo shows a tiny mis-match in the paper. Look at the lady’s elbow, and her bustle. If this had been a very plain pattern, I would have sent it back. But with this busy toile pattern, no one is going to see this little mismatch. What’s the Craziest Place I Ever Saw Wallpaper? 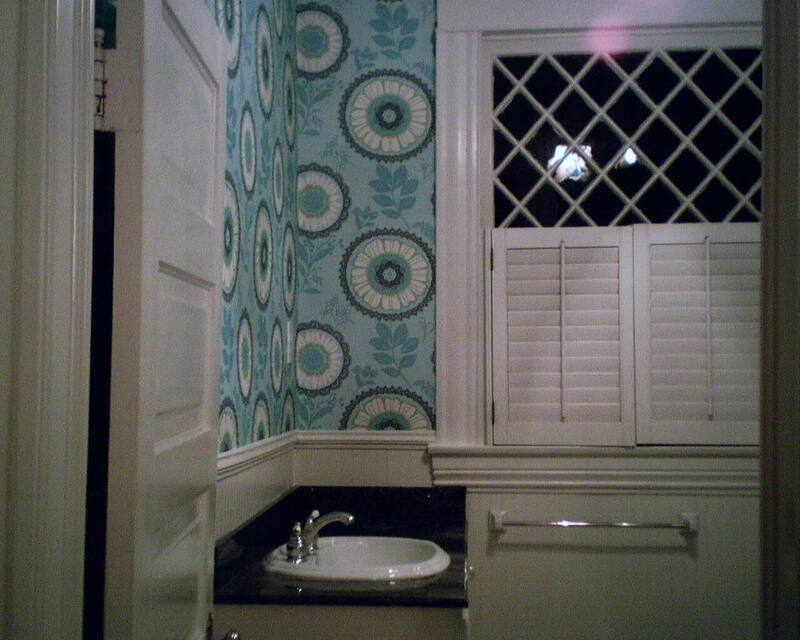 This has to be the goofiest place I’ve ever seen someone put wallpaper. Do you recognize it? 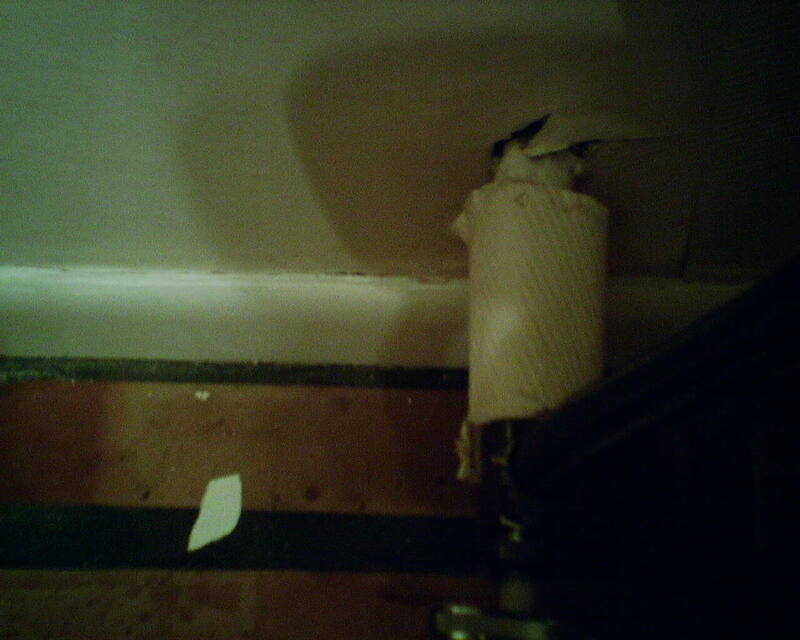 Coming out of the wall near the floor, it’s the water supply pipe to the toilet!. And, yes, when I hung the new paper, I put paper around the pipe again, too. 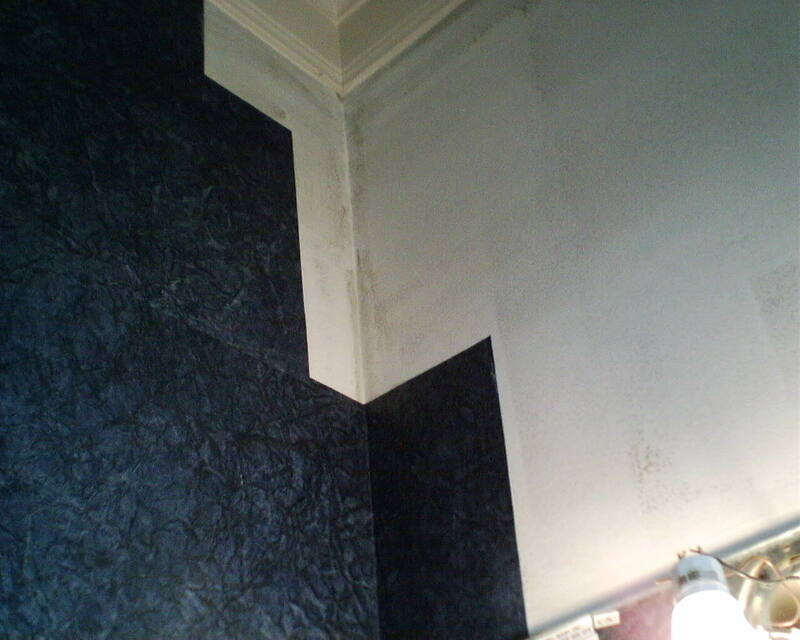 “We’ll Have the Painters Do the Prep for You” – Please DON’T! 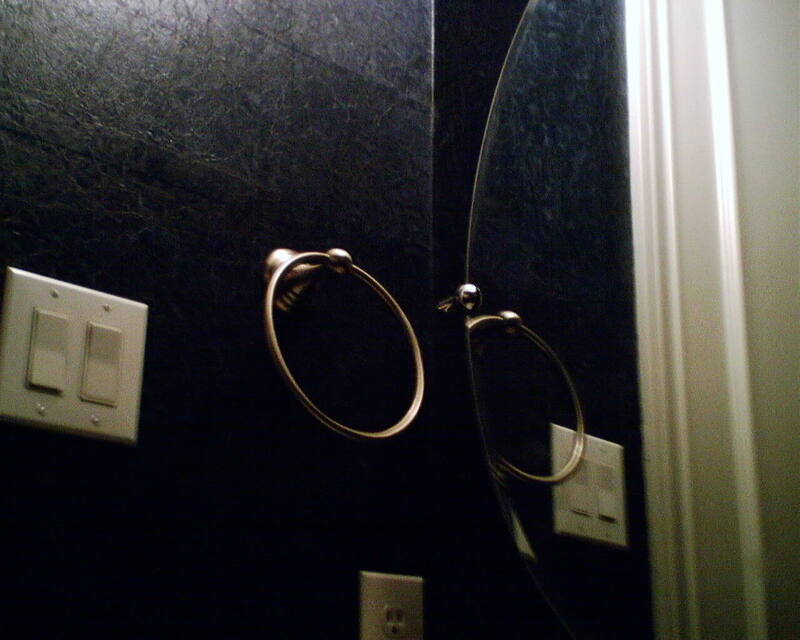 This bathroom had textured walls that needed to be smoothed out, to keep the bumps from showing under the wallpaper. 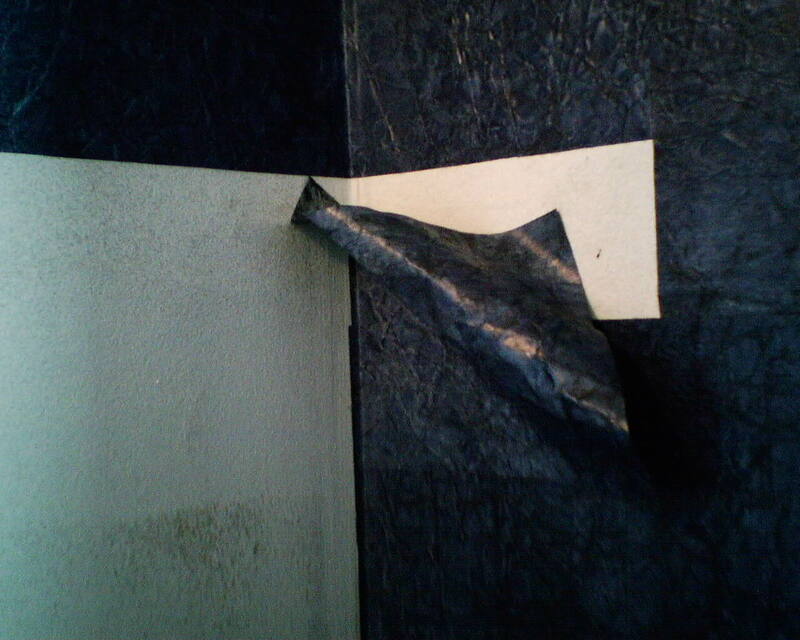 The painters / handymen offered to float the walls (trowel on “plaster”) and smooth them. Of course, they were eager to make the extra money. 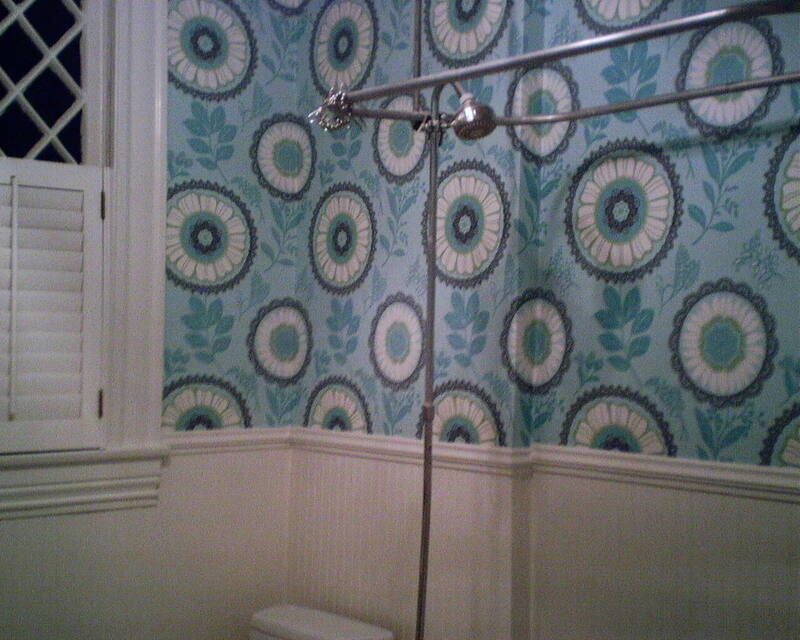 But think about it – what does a PAINTER know about what’s needed for WALLPAPER?! Would you hire a heart specialist to remove a bad molar? These guys did a fairly good job – nut I would have done much better. You can see that much of the wall space is not smooth. And, yes, those little bumps and ridges WILL show under the paper. 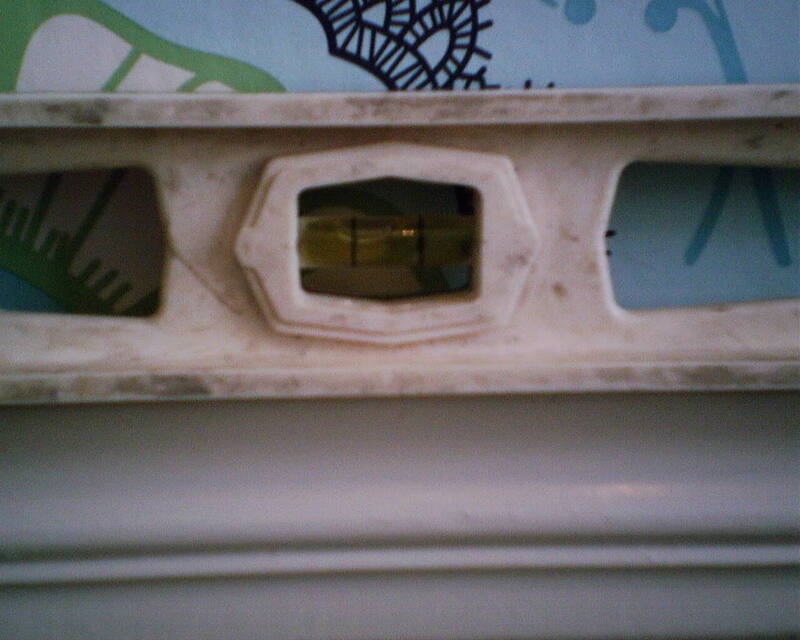 But most important is the areas around the edges, like at the baseboards and moldings. 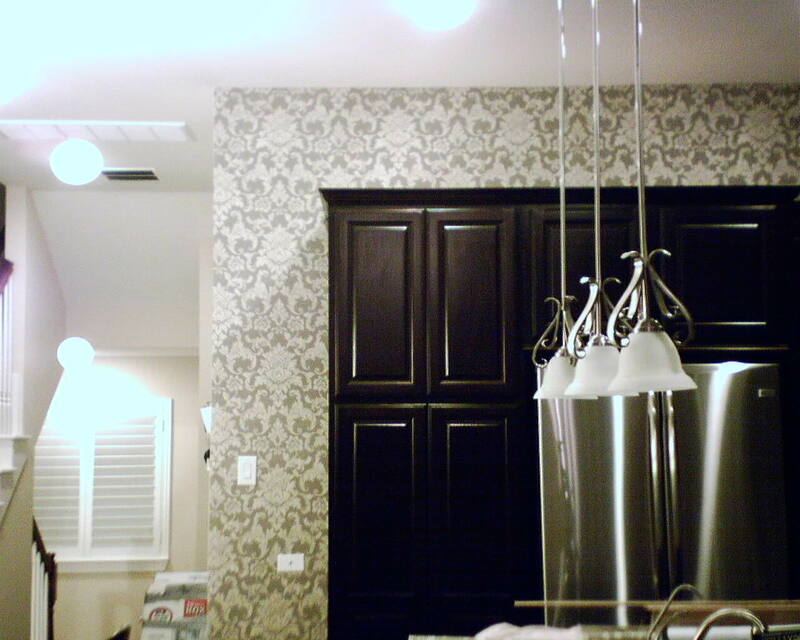 If wallpaper is going to lift up, most likely it’s going to lift at the seams or at these areas. So you can see that the work done here, with jagged “drop offs” as I call them, at the edges is not a stable surface for the paper to grab hold of and hold tight to. I have a special technique I use for getting into corners and next to wooden trim, that ensures a smooth, flat “bed for the paper to lie in.” So, homeowners, next time, let ME do the prep for the wallpaper. NO ONE preps like I do, and NO ONE preps as well as I do. You are currently browsing the Wallpaperlady's Blog blog archives for February, 2013.